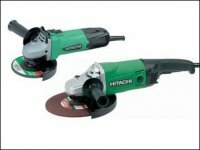 At Holbury Tool Hire, we offer a very wide range of products for hire for both the professional and home D.I.Y customer, as well as products for sale. Our business has been established for over 30 years in the waterside, Newforest and Southampton areas. We offer competitive prices and a low cost delivery service. In addition, we have recently opened a new specialist Safety & Workwear shop adjacent to our current premises.